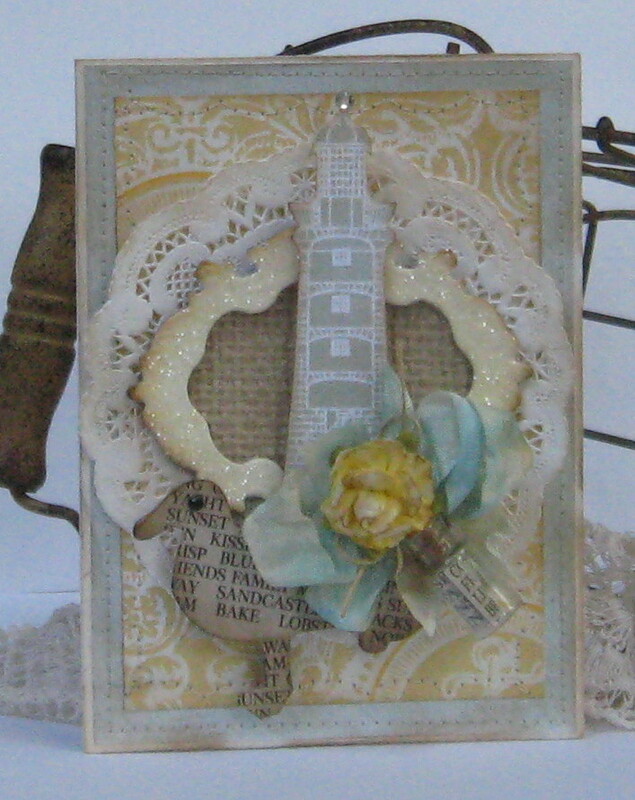 This card was created based off of this week's gorgeous colors at PDCC. My immediate reaction to these colors, was something soft, serene and relaxing - much like the ocean. DP's from Webster's Pages, chipboard frame and bird from Tattered Angels, paper flower from Prima, little message in the bottle from Making Memories, misc. doily, burlap, rhinestone adhesive and seam binding ribbon. Sigh. THis is so heavenly and soft, Cathy! And I enjoyed reading about your little grandson's response to your question, too. How cute! THanks for playing with us at THe Play DAte cAFe! oh my word, this is SO beautiful! I love all of your details and layering. Thanks so much for playing along at The Play Date Cafe.